Swift turnaround times for MRO and ground support activities rely on good organization. Easy access to tools and GSE, as well as increasing the safety of the flight line or hangar, is critical in maintaining efficiency. Don't risk the safety of those who keep the aircraft flying. Reduce tripping hazards, protect sensitive componentry and keep the work area organized and tidy. 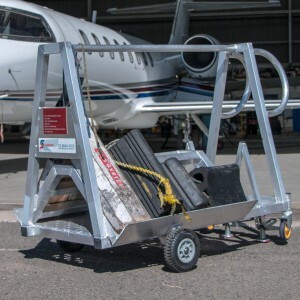 For custom-fabricated ground support equipment for this purpose, see SafeSmart Aviation, the world's leading fabricator of robust hand-maneuverable structures. SafeSmart Aviation has branches in all major continents, and are well-situated in global MRO hotspots, including Canada and the US, as well as Australia, the UK and New Zealand. We can design and build a custom solution from scratch, and deliver to anywhere in the world. For hangar equipment that saves injury and time, get in touch with SafeSmart Aviation now. We have representatives who will come to you and perform an obligation-free ramp safety audit. Some of the most serious injuries that occur in the aircraft maintenance area do so because of seemingly insignificant things – tripping over wheel chocks, poor storage of tools and aircraft components, and environmental changes. All of our products are designed by an in-house team, from close consultation with our clients, including site safety assessment, and measure-up of areas that need tidying or height access. 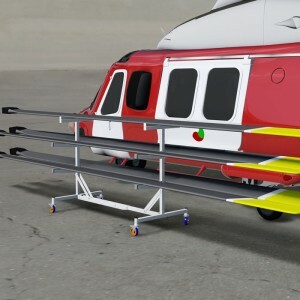 This custom capability has seen us partnering with some of the world’s most significant aviation operators—clients include United Airlines, Delta, Qantas, Us Air Force, Royal Air Force, US Army, STARS rescue—to provide hangar equipment that is used daily at the airport or base. Support your ground support equipment – look after it, and you’re looking after your staff. For custom designs, get in touch with us now.